Beginning in 2012, cigar fans have had the annual Goldie Series to look forward to. 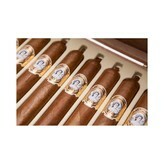 The sheer finesse and complexity of this cigar simply can not be ignored. Goldie cigars not only feature an exquisite blend of Ecuadorian, Dominican, and Nicaraguan tobaccos, they also include the rare use of Medio Tiempo tobacco. This is a higher-priming leaf found on only 10% of tobacco plants. Crafted with a fantail cap, this skinny cigar has a firm draw that shows big notes of bread dough and sweet cedar. There's a touch of green olive on the finish. A world renowned classic! If you are familiar with the history of radio and television you may recognize the Paley name. The legendary family is known for the founding of Columbia Broadcasting System. CBS was created with the money made by Samuel Paley’s La Palina cigar brand business. When Bill Paley resurrected the La Palina brand he did so by honoring his family’s history. He named the now infamous cigar, La Palina Goldie, after his grandmother, Goldie Drell Paley. The La Palina Goldie series is handcrafted by master roller Maria Sierra at the famed El Titan de Bronze factory in Little Havana. 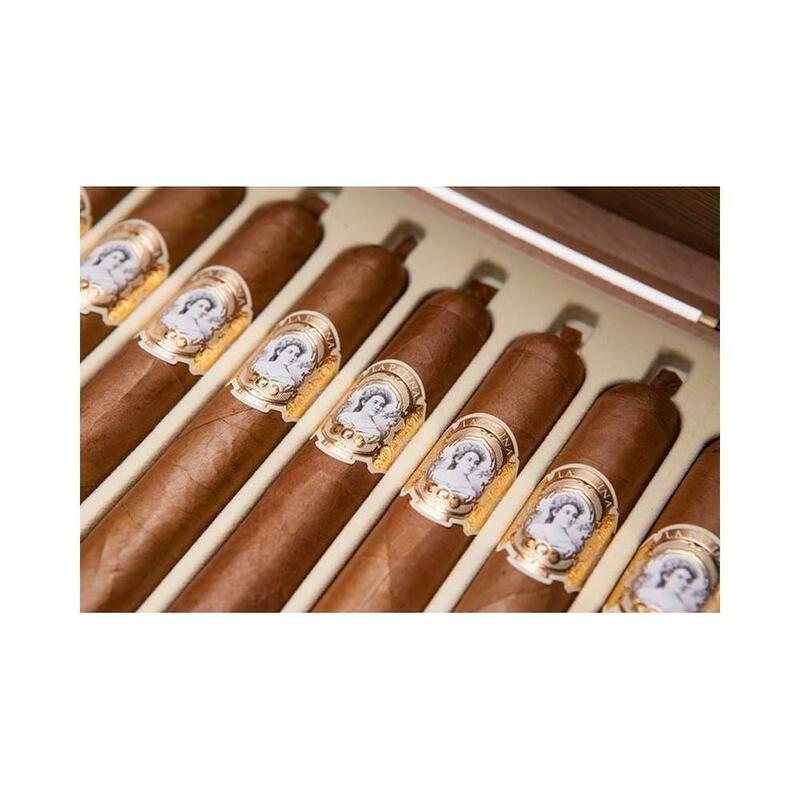 Originally a roller from Cuba, for the 2016 release Maria rolled only 25,000 Goldie Dalia cigars, an equivalent of 100 cigars a day. The annual release of Goldie is limited to 2,500 boxes of 10. If you are feeling really generous this holiday season, a box of Goldies will electrify the cigar aficionado in your life. The extravagant Goldie Dalia rests in an oily Colorado-colored Ecuadorian Habano wrapper over an Ecuadorian binder and fillers from the Dominican Republic and Nicaragua. The medium to full strength and bodied Goldie has pronounced earth and leather notes paired with coffee, Chantilly cream, cinnamon and tropical banana. With a top notch construction, Goldie maintains a firm charcoal ash to the finish. This is one of the finest smoking experiences you will ever encounter. Around the holidays, I stock up on various Christmas and seasonal winter beers, especially from Belgium. That winter night, I chose the St. Bernardus Christmas Ale. The Quadrupel Belgium is brewed at Brouwerij St. Bernardus in Belgium. At a hefty 10% ABV the Quadrupel Ale does not have an alcohol burn that would otherwise ruin a premium cigar like the Goldie Dalia. St. Bernardus has notes of banana, yeasty bread and hints of blood orange. With my daughter asleep, I was allowed to smoke in the den. I put another yule log on the fire, poured the ale in a chalice and slowly and carefully lit my Goldie Dalia. The two harmonized like Christmas carolers at my door.